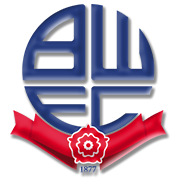 Bolton Wanderers did not kick off the 2017/2018 Championship campaign in style and they do not seem to be competitive at this level. The newcomers are on an eight-match losing run in the league ahead of Saturday’s football game against Sheffield Wednesday and they failed to score in previous seven games. Bolton are low on confidence at the moment and we do not believe that there is a big value in betting on the Trotters. Sheffield Wednesday did well to return to winning ways before the international break, with the team rolling over fifth-placed Leeds United in front of home fans. The Owls aim to build on the triumph and given Bolton’s poor form, we predict that the visitors will give fans yet another reason for celebration this weekend. Bolton defeated Wednesday in the League Cup in August and, no doubt, the Owls are hungry for revenge.